One of the more dubious outcomes of the French Revolution was the standardization of guillotining as the sole (and oft-employed) manner of capital punishment. Prior to the revolution, only nobility was entitled to such a humane demise. Commoners received their due by more excruciating means such as drawing and quartering. Today, it seems that American businesses suffer both fates. The sales proposition for consolidation is simple: 1 + 1 >> 2. In the short term, this appears to be true. As redundant jobs are eliminated (heads chopped) the bottom-line improves. A similar effect occurred at General Motors in the 1990’s: each time heads were chopped, the stock price increased – as did executive bonuses. To be sure, there are times when consolidation of resources can provide a unique synergy by gathering the best process knowledge together. But more often, only short-term gains are realized. In the longer term 1 + 1 << 1. More like a tsunami. 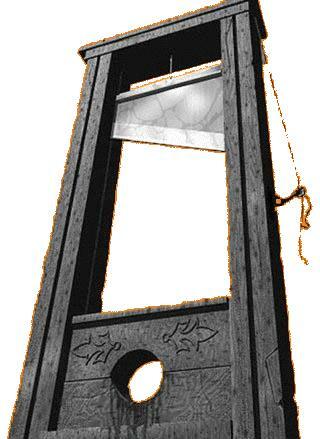 Guillotine! Separate the body from the head, leave the head here in the U.S. and ship the rest to the lowest wage locale available. Let the philosopher kings in the U.S. create, innovate and incubate. Ship the “low level” work somewhere else. Once again, on paper the concept looked ingenious: 1 – .90 >> 1. Short-term earnings soared. But in actuality, undervalued production technology and process improvement was lost, ceded to other regions, who today are the new proprietors. A manufacturer of leather handbags commented to me, “We initially shipped our ‘low cost’ products” to China, but now those products are of higher quality than the ones we make here!” A manufacturer of sporting goods noted, “There are portions of our product for which the technology has been completely lost. We couldn’t buy it in the U.S. if we wanted to.” The emerging producers from far off places are not headless bodies, but whole entities that have assumed leadership in markets ranging from consumer electronics to automotive to healthcare. They can still go to the Gemba to observe and improve, because they have one. Some days the trend to export jobs rather than products seems inexorable. On the other hand, there are notable product and service providers in our region who have made a choice to build their futures in America by learning to compete in the global economy – and they are thriving! 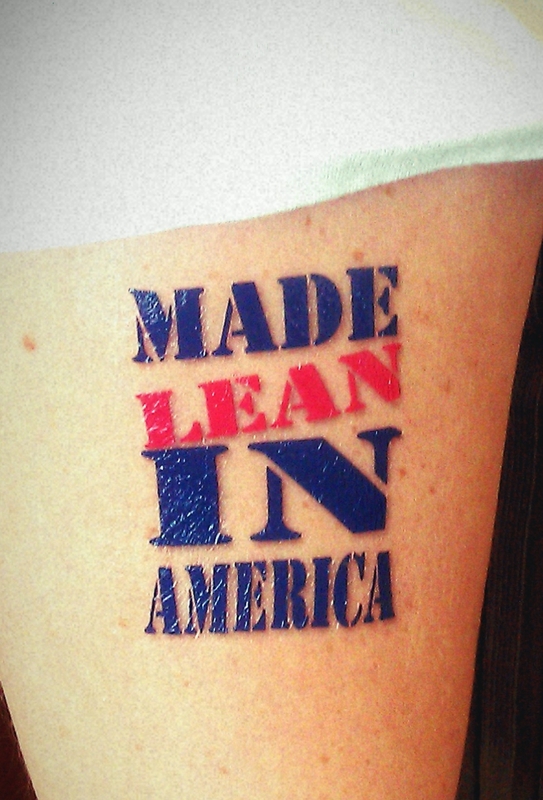 This is the theme of our October 5-6 Northeast Shingo Prize Conference: Made Lean In America. A distinguished group of lean leaders will be with us then, as will two dozen lean practitioners from lean organizations large and small, sharing ideas in our “lean lounge.” I hope you’ll plan to be there with us also. In the meantime, let me hear your thoughts. Can your company make it in America? (let us know how many you’d like; limit 25 per person). This entry was posted in Old Lean Dude and tagged 5S, automation, GBMP, hoshin kanri, inventory, kaizen, lean manufacturing, made in america, made in the usa, muda, mura, Muri, optimization, poka-yoke, safety glasses, shigeo shingo, Taichi Ohno, Toast Kaizen, toyota production system, TPM, TPS, true north, value stream mapping on June 22, 2011 by GBMP. You’ve hit the nail on the proverbial guillotined head, OLD. The “smarts” in a production facility reside with those who do the work. Managers are important as facilitators and cheerleaders, but it’s the worker who knows how to eliminate waste in a given process and make it work. That’s why my company has chosen to keep producing in the US, investing in equipment, facility and, most importantly, people whose heads are filled with knowledge that’s hard to replace when the body you referred to gets sent packing overseas. You’ve raised some good points. You have certainly raised the issues with off-shoring manufacturing. There appears to be a few in Washington that are starting to understand that we need to be making stuff if we want to create value in our economy. Hopefully the current job crisis will wake up a few more.